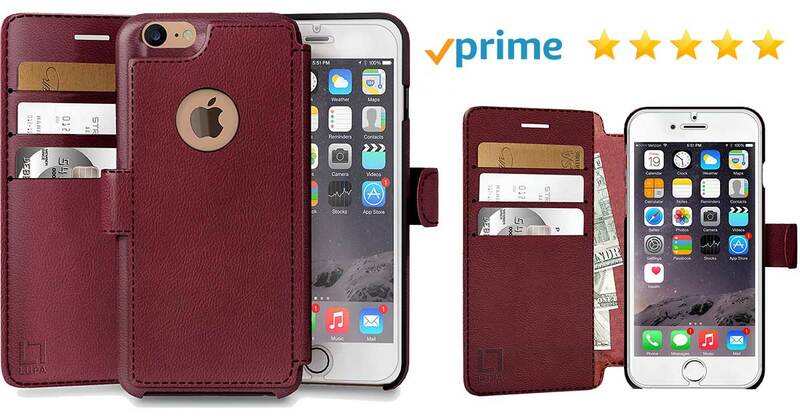 Get our iPhone 8+ Burgundy Wallet Case for 25% Off! This is a special Facebook® to Amazon® coupon deal to promote our newest product. Limited supplies available on a first come first serve basis, so grab your code now while supplies lasts! Travel Lighter: Holds an iPhone 8 Plus, 3-4 credit & ID cards and up to 4 bills. Access to all ports and ultra-strong magnetic closure to provide security and peace of mind. 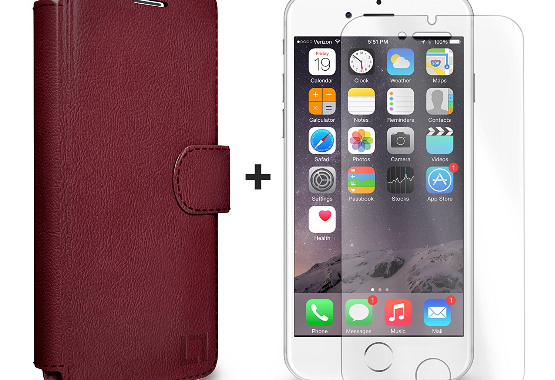 Durable Protection:Cover all four corners of your iPhone and include raised edges to prevent screen scratches. Upscale Quality: Crafted from premium faux leather with a classic vintage style design. Exquisitely packaged and makes a great gift. 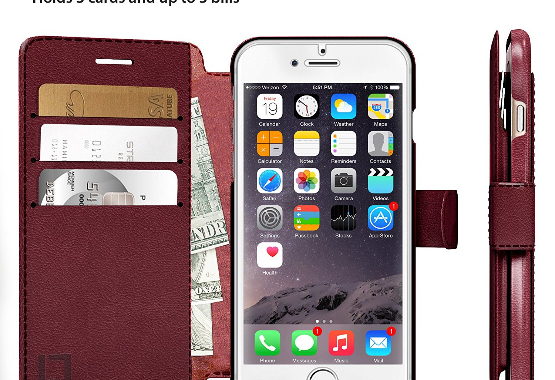 Love your new iPhone case - or your money back. We're committed to your satisfaction and remove all the risk from your purchase. Coupon code will be instantly sent to you. Limit 4 per person. WHY ARE YOU OFFERING THIS DEAL? A.Selling on Amazon is competitive. More sales means higher rankings when people search for products. HOW DO I USE MY COUPON? A.Checkout as you normally would when purchasing a product on Amazon. On the last form before submitting your payment, there will be a box that allows you to add a discount code. Simply copy and paste the coupon code provided in that box. A.If you are an Amazon Prime subscriber or your order is above $25 then you qualify for FREE Shipping. Also, any item with "FREE Shipping" messaging on the product detail page that is fulfilled and shipped by Amazon is eligible. MY COUPON CODE ISN'T WORKING - WHAT SHOULD I DO? A.In the unlikely event that your code isn't working, please let us know at contact@lupaproducts.com - we will fix the issue as quickly as possible.